Consider also that he will want to know about anything that calls into question the integrity of the firm, its senior management, directors and owners, convictions, bad debts, court judgements, censure or accusations by authority, investigations by authority and so on. Imagine all those things you might want to know about someone you were employing to look after your firm’s finances and cash or something or some person who is precious to you. The discipline created by the Act is a good one in that you are required to make enquiries of anyone who might be able to give material information. This will include Directors, senior management, shop floor managers, and agents of the firm such as solicitors or accountants. As your insurance broker I can help you devise a suitable list of people and the words to use to make enquiry of them. No more hastily completed questionnaires, The Act places a responsibility on the insured to be clear and accurate in giving answers. If you have any points you wish to raise about the questions that are asked of you or there is anything you do not understand then please ask me to advise you. It is no longer possible simply to send documents to an insurer and expect them to look through them to find material facts. You have to tell them what to look for. Similarly, the treatment of warranties has improved in your favour and the changes are detailed below. One major new responsibility is that you will have to tell insurers if you ever breach a warranty during the policy year, so you are going to have to make a note if that happens. As long as you are honest and not reckless (not caring) in helping the insurer understand the risk they are covering, then the Act provides you with what should be fairer treatment. If your presentation is not fair and if you have been fraudulent or reckless in your presentation then the underwriter may have a right to avoid the policy from inception, pay no claims and keep the premiums. A warranty or condition precedent to liability has to be complied with literally or the insurer might have the right to cancel the policy from the date of the breach and not pay any claims. Some warranties must be complied with at all times and others you must be complying with at the time of a loss. I will advise you which is which. An insurer may only take action on a breach of warranty if the breach was causative of a loss. If a warranty is partially causative, then the insurer might reduce a claim rather than not pay it at all. In the past an insurer could refuse to pay a claim if you breached a warranty at any time and even if the breach had nothing to do with the loss. Because the insurer has lost that rather strict right, it is likely to be material to the underwriter if you have failed to comply with any warranty as required. I therefore think it is important that you develop a system of making a note if a warranty is ever breached during the year. It is possible to “contract out” of the new Act. As your insurance broker I will advise you if this applies to you. The insurer is not too concerned as they were small losses but imposes a £5000 excess from inception. Your claim is reduced by £5000. You innocently forget to tell the insurer that you had two fire claims in the last five years with another insurer, not just one. You fail to tell the insurer that a director of the firm has had two County Court Judgements for unpaid debts to the Council and Electricity Board in the previous 12 months. You innocently fail to tell the insurer that you have started a small waste recycling process at part of your premises. The insurer absolutely does not offer insurance for such risks or premises where such risks exist. They avoid the policy from inception as they would never have insured it in the first place (and have good evidence to prove that) and return your premiums in full. This is a fraudulent hiding of a material fact (deliberate and dishonest) and the insurer avoids the policy from inception, keeps the premium and reports the matter to the Police authorities. You decide not to tell the insurer about the fact your MD has been charged with theft as the premium might be too high for you to afford. If your policy has a warranty, I will advise you. A warranty should be strictly complied with in accordance with the wording and if at any time it is not, then you should make a note and tell me or the insurer at next renewal. Some warranties are descriptive of the risk and a breach could lead to non-payment or reduction of any claim. Others are suspensory conditions and you will only be penalised if there is a breach at the time of a claim and the breach affects a loss. There is no connection between the breach and the loss so the claim should be paid. There is a similar warranty which you are not complying with at the time that a tile falls off your roof and hits a passer-by. It is likely that the insurer will claim that the breach has some effect on the size of the loss and seek to reduce your claim. You are in breach of a burglar alarm warranty and there is a serious fire. The insurer claims that if the burglar alarm had been active, the early stages of the fire would have set it off and the fire would not have caused so much damage. An insurer will likely seek to refuse a claim on the basis that the warranty is descriptive of the risk. You warrant that no-one under 18 will be allowed in the paint spray shop. The warranty is complied with at the time of a loss but it is established that you often let staff under 18 into this dangerous area. Always contact me in the event of the insurer indicating that they may not pay a claim in full. 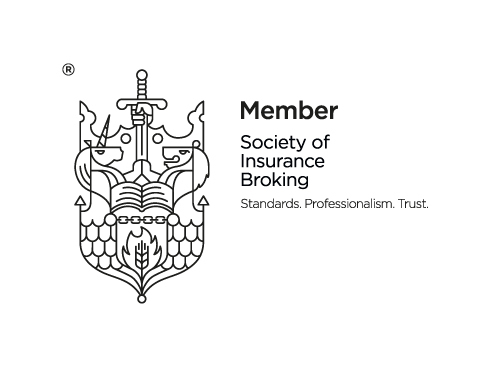 Either I, as your insurance broker, will guide you or advise you, or I will introduce you to independent claims specialists who can look after your interests. You might also wish to consider appointing a specialist when the loss first occurs if it is complicated or of any size.